Social messaging app Yik Yak has received $1.5 million in additional funding for the expansion of its ‘hyper-local engagement’ platform, with funding from Vaizra Investments, DCM, Azure Capital Partners and others. The Yik Yak platform is an anonymous social experience, which allows users to connect to others based on location, with support for connections within a 1.5 mile radius. Yik Yak allows users to send anonymous 200-character messages to virtual bulletin boards, in a style similar to Twitter. The app uses geo-fencing to block access to elementary and secondary schools, but is available at over 100 universities across the US. The app has become quite popular with college students, as they can meet others to enjoy their school’s many social activities without needing to know them beforehand. Since the app’s creation five months ago, it has grown from a purely social platform to one focused on doing good. For instance, students at a Southern university campus used the platform to raise money for a fellow student undergoing cancer treatment. Even though other students may not have known the student, the Yik Yak platform was used to raise awareness among like-minded individuals. “Our goal with Yik Yak was to create an open forum for mobile users to easily communicate, or Yak with one another…for community engagement within a specific location,” said Tyler Droll, CEO of Yik Yak. This round of funding will be used to expand the platform to more locations (including overseas), as well as create new features to encourage additional community-building and “free expression” through the app. 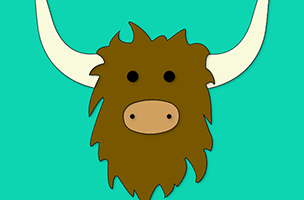 Yik Yak is available to download for free on iOS and Google Play. Check back soon to follow the app on AppData, our tracking platform for mobile and social apps and developers.